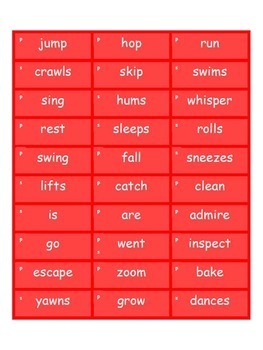 Students use these cards to build grammatically correct sentences. 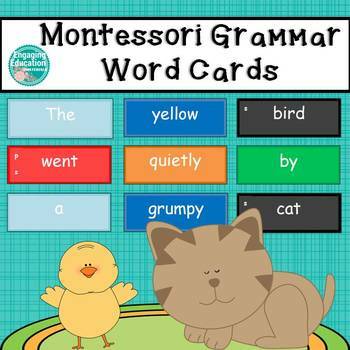 The cards are color-coded to correspond to the Montessori grammar symbols. 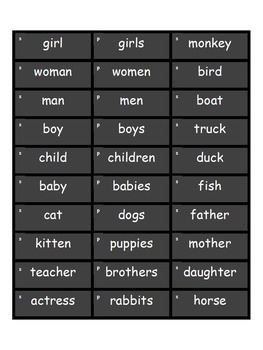 The noun and verb cards are labeled S for singular and P for plural as a modification to help students understand verb agreement. 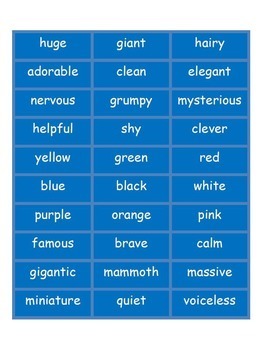 This work contains cards for articles, adjectives, nouns, verbs, adverbs, prepositions, conjunctions, interjections, and pronouns. For classroom use only. This copy is to be used by a single teacher. Please purchase one license per teacher using this product.